For over 30 years, Bill has represented clients in virtually every aspect of civil litigation. He is an accomplished trial lawyer who has tried cases to jury verdict throughout the Commonwealth of Kentucky. He is also an experienced appellate practitioner, who has been involved in a number of cases that have helped shape Kentucky law in areas of tort and insurance coverage. 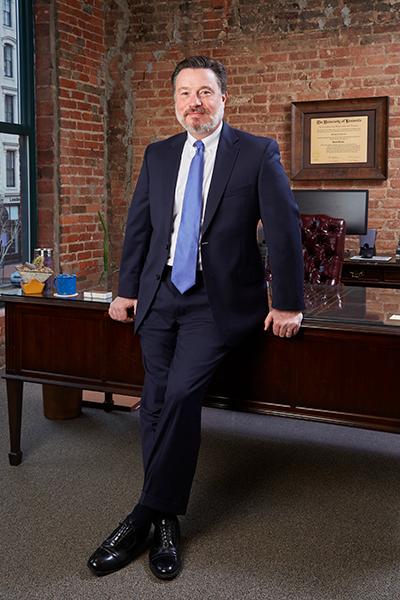 Bill has received an AV Preeminent rating from Martindale-Hubbell, has been included in The Best Lawyers in America and selected as Louisville’s Insurance Lawyer of the Year for 2016 by Best Lawyers, is a member of Super Lawyers, and is annually recognized as one of Kentucky’s top civil litigators by local magazines. Bill graduated from the University of Louisville Brandeis School of Law in 1986. In addition to an active private practice since graduation, Bill served as an adjunct professor at the Brandeis School of Law for a number of years. Bill maintains as diverse of a trial and appellate practice as a civil lawyer can have. He routinely handles professional liability cases, automobile and trucking accident cases, product liability cases, hospitality and retail industry cases, toxic tort cases (including asbestos), insurance coverage and bad faith cases, and construction defect cases. Bill has also served as a consultant and expert witness in bad faith litigation, and routinely lectures and provides presentations for continuing legal education, as well as for his clients’ in-house seminars and training sessions. Bill also relies on his years of litigation experience in offering his services as a mediator. Due to his experience in objectively evaluating claims, and the respect he has garnered from members on both sides of the bar, Bill works effectively to help individuals and entities resolve their claims prior to trial.